It’s time to rethink how we approach staff scheduling in healthcare. Traditional staffing and scheduling models rely on managers to lead the process, which can create silos within units. This top-down method leaves little room for employee input or employee engagement. 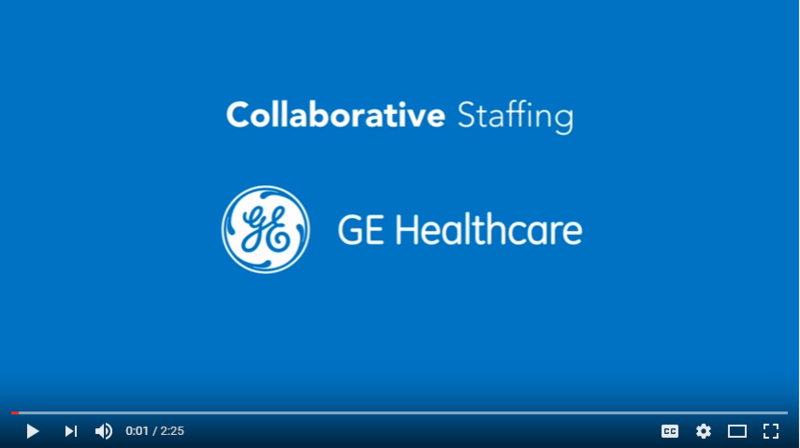 Collaborative Staffing is a ground up model that can deliver remarkable outcomes because it allows employees to be a part of the workforce solution. Working side-by-side, managers and employees build schedules together, ensuring staff preferences and patient coverage needs are met enterprise-wide. No matter what your staffing and scheduling challenges may be, Virence Health has an integrated solution that considers all factors, enabling you to optimize resources and meet your patient care goals. In addition, we offer multiple solutions, including CentricityTM ShiftSelect® and CentricityTM Staffing and Scheduling to meet the IT and deployment needs of healthcare organizations of all shapes and sizes. For over 30 years, API Healthcare has been delivering Workforce Management Solutions developed specifically for healthcare. The company was acquired by GE Healthcare in 2014, and is now proud to be returning to its strong roots as a stand-alone company. API Healthcare is well-positioned to continue to deliver clinical and financial outcomes to clients seeking to optimize their workforce through technology, analytics and consultative services.